Mississippi is Below Average – and We Could Not Be Happier About It | Merkel & Cocke, P.A. It is not very often that folks can be proud of being below-average – but when it comes to the number of children with traumatic brain injuries (TBI), being below-average is a good place to be. 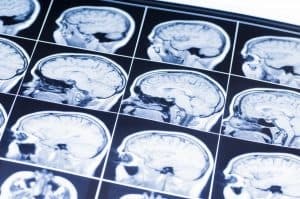 MedPage Today reports that in a recent study, published in JAMA Pediatrics, “The lifetime prevalence of traumatic brain injury (TBI) among children age <17 years was an estimated 2.5%, based on parents’ reports of healthcare professionals’ diagnoses.” In Mississippi, that number is less than half, at 1.2%. The researchers admit that the numbers could be higher in other states simply because there are higher rates of private medical insurance in other states, which could skew the estimates. It is also possible that some children – here at home or in other places – simply didn’t get treatment for a TBI. The numbers, however, show that on average, our kids suffer fewer TBIs than kids in other states. Falls. About half of all pediatric brain injuries are caused by falls. Children learning to walk can bang their heads against furniture or floors, and little children can trip over their own feet when they’re running. Falls from jungle gyms and playground equipment can also lead to serious injury. Being struck. If your child plays sports, like baseball or soccer, he or she could be hit in the head. Pulling toys down from a closet, or trying to reach something on a shelf at school, could also lead your child to be struck on the head. Car wrecks. Car accidents are particularly dangerous for children in Mississippi because we have some of the lowest rates of seat belt and child restraint use, which leads to some of the highest rates of fatal car accidents in the country. If your child is in the car, it is really important that he or she buckles up. Violence. Every year, child sustain brain injuries because of acts of violence by other kids, or by abusive parents or adults. This year has seen a number of stories about things like “shaken baby” syndrome, and other acts of violence committed against children. Kids will be kids, and they’re going to get injured. But you can help your child avoid a catastrophic injury by instilling a few rules about their playtime. Make sure they wear helmets when they ride their bikes, scooters or skateboards. Make sure they use their seatbelts when they’re in the car, and that they look both ways before they cross a street. Teach them to ask for help reaching things on shelves, and show them how to properly use a step-stool or ladder, if they are of an age when it is appropriate to use one. If your child does sustain a brain injury because of the negligence of someone else, you have options when it comes to protecting their futures. At Merkel & Cocke, P.A., our Mississippi brain injury lawyers can help you pursue those options. To schedule a free consultation with us in Jackson, Clarksdale or Oxford, please call 662-799-1633, or complete our contact form.